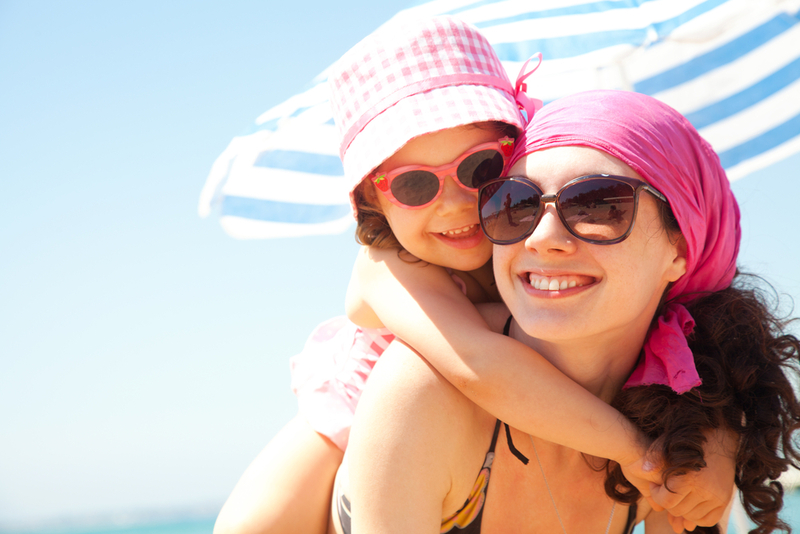 Protecting your eyes from the sun is important to your personal eye health. Quality sunglasses Chandler will reduce the harmful affects of ultraviolet rays and the strain your eyes experience due to the bright conditions. The material used in the production your sunglasses will affect the protection provided. While sunglasses made from glass offer optimal clarity and resistance to scratches, they are typically heavier and more expensive than other sunglasses. Polyurethane sunglasses offer better resistance to impact, exceptional clarity and flexibility and a lightweight lens. They are however, somewhat expensive. Acrylic lenses are less expensive and are better for casual usage because they are less durable and tend to distort some images. All sunglass lenses are tinted in order to reduce brightness and improve image definition. The lens tint you choose may affect your vision. Brown, green and gray lenses reduce overall brightness and are generally for reducing strain on the eyes. Yellow, amber and gold lenses offer less protection from bright conditions and are best suited to situations with moderate amounts of brightness. They also offer exceptional depth perception making them effective for snow activities. Rose and vermilion tinted lenses make images appear brighter and improve visibility in areas with green and blue backdrops. They are also excellent for conditions with low lighting. Mirrored sunglasses reduce glare and make images seem darker. At VISION EDGE we recognize the importance of offering personal, professional and detailed advice to our valued patients. Dr. Stamper, OD and the expert team of eye care professionals are here to help you with all of your vision and Sunglasses Chandler concerns. We’re proud to offer expert advice, the latest frame styles to complement your facial features, lens cleansing and eye glass inspection at no cost to you, as well as quick adjustments and minor repairs. Contact us today to schedule an appointment with our expert eye care professionals. We understand how important your vision and eye health concerns are. Feel free to discuss your concerns with us. We’re here to answer all of your questions, evaluate your eye health concerns, and provide you with the best Sunglasses Chandler solutions. The eye care professionals at VISION EDGE EYE CENTER will be happy to provide you with expert advice and respond to all of your vision concerns. To schedule an appointment with our expert team, email us or call us today. We look forward to serving you!